Landscape edgers provide a "finished" look to a landscaped area. A landscape edger is an item or tool used to trim the perimeter of a lawn or landscaped area. It may also be called a garden edger or lawn edger. Many people find landscape edgers to be an important facet of routine lawn and garden care, especially those who prefer a well-defined, "finished" look to the landscape. 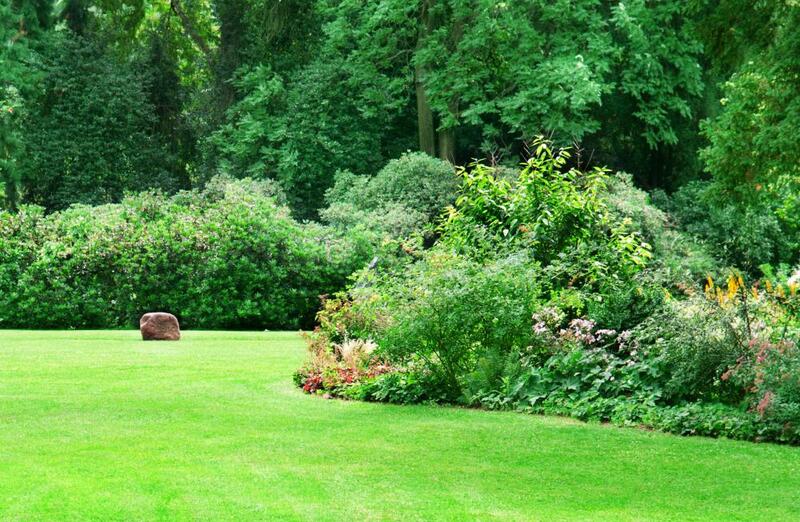 A landscape edger does more than simply clean up a green lawn, however. It can also be used to provide useful distinction and definition between different sections or areas of a landscape. Creating a straight, defined border for a lawn, especially along a sidewalk or driveway, is one of the primary uses of a landscape edger. 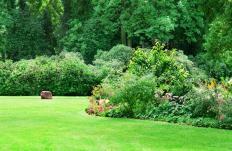 It may also be used to separate areas of a landscape, such as lawn grass from flowerbeds. In some cases, landscape edging may be necessary to keep one area of a landscape from invading another, such as keeping grass from a vegetable garden. Landscape edgers are available in many different shapes, sizes, and prices, so there is likely to be one for nearly every need. Generally available for purchase through commercial home and garden stores, some landscape edgers are as simple and inexpensive as a basic garden hoe. Landscape edgers may also come in the form of manually operated trimming shears and electric or gas powered trimmers that use a steel blade to cut a straight edge. Most landscape edgers are quite simple to operate, but care should be taken to avoid injury during use. Manual edging tools may require more effort, but may also allow for increased flexibility. Gas or electric trimmers will likely cost more, but may be quicker in getting the job done, especially where larger lawns or landscapes are concerned. Many types of grass, weeds, and plants like to overrun their boundaries, so landscape edgers must often be used frequently to keep borders well defined, especially during the growing season or after periods of heavy rain. Landscape trenching may provide a slightly more long-term edging solution in areas where space and design allow. In landscape trenching, a deep trench is created to separate areas of a landscape. Some use a shovel to accomplish this task, though electric or gas powered electric trenchers are available, as well. Trenching does require upkeep, though probably not as frequently as edging. Permanent edging is a more long-term solution that can help to keep one item from invading another, such as grass from a garden. Plastic, wood, stone, or even steel many be inserted into the ground as a permanent edging. The benefits of permanent edging include decreased upkeep and high definition. Permanent edging may not be an option in all cases, or it may be unsightly, in which case using a landscape edger is preferable. What are the Best Tips for Installing Landscape Edging? What is a Landscape Berm?